Making resolutions and scheduling actions for New Year are something that everyone aspires for. But, the real challenge is in keeping up the momentum to achieve the goals. Chaotic routines, dwindling will-power or plain laziness tend to succumb to these at some point or the other. 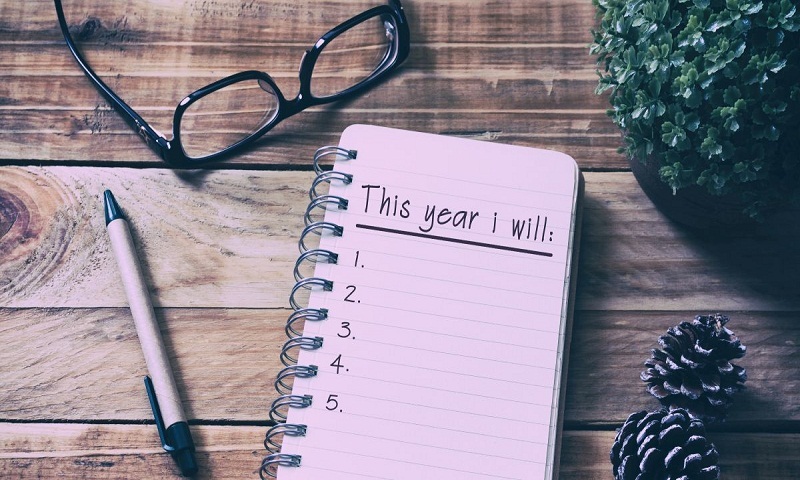 However, a few steps might help you to achieve the goals you have set for yourself in 2019. Gautam Raj Anand, Founder and CEO, Hubhopper, and Anupama Dalmia, blogger at Momspresso, list some ways to keep up with your New Year resolutions. * Trick your brain and start by familiarising your mind with your resolutions by visualising them. Write down your goals and stick them at some corner you visit often like your bedroom walls or office cubicle. These work as perfect reminders which we often require. This will make you feel more inclined towards your goal without positioning it as a threat to your habits. Push yourself for the first few days with your willpower. * Recharge your spirits and boost yourself with some pep talk by listening to self-help podcasts. When routine wears you down, escape it with motivational and inspirational sessions on podcast platforms. From health to career goals, you will find a countless number of topics on how you can set realistic goals and achieve them. Also, Set practical and achievable goals keeping in mind your budget. * Ensure the goals are specific and measurable for example, ‘I want to lose 5 Kgs’ is a better-defined goal which you can work towards than ‘I want to have a figure like some Bollywood actress’. * Research well on the place you want to visit and plan the duration and dates for your travel in advance. Book the tickets accordingly and the moment that is done, you will try your best to make that travel happen. * Keep yourself motivated to stay on track. You know what works best for you. It could be the company of a friend or reading an inspiring fitness/travel story.